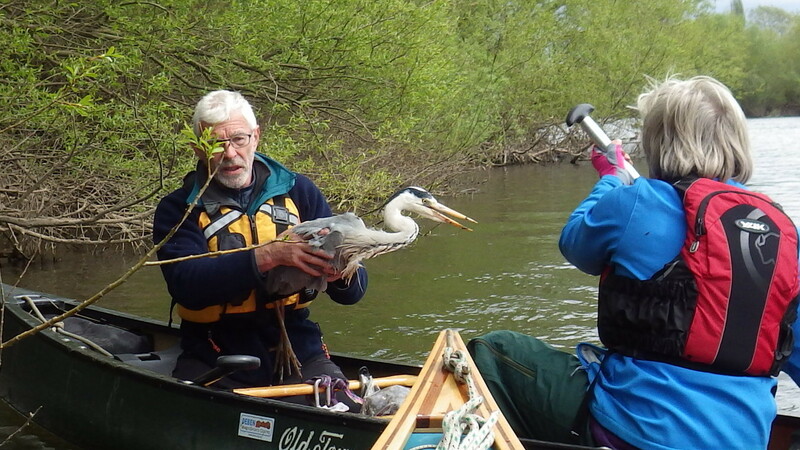 This picture was taken on the River Wye during a rescue of a Heron that was found hopelessly entangled in fishing line and stuck on the river bank. John and Cath cut the Heron free, removed the line and then released it. During 2017 we have a range of club events planned including river trips, beginners whitewater and pool sessions as well as a trip to the Dart in November. Please browser through the Albums listed in the Left Hand navigation window.